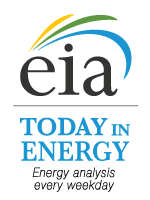 In its most recent Short-Term Energy Outlook, the US Energy Information Administration forecasts Brent and West Texas Intermediate crude oil spot prices in 2020 will average $62/bbl and $58/bbl, respectively. Both prices are $3/bbl lower than EIA’s STEO from January. The lower price reflects the expectation of looser global oil market balances in 2020 compared with last month’s outlook. In this month’s STEO, global oil supply was revised up from 2020, largely because of higher forecast on US crude oil production. At the same time, global oil demand for 2020 is slightly lower than previously forecast due to lower forecast global GDP growth. After two consecutive months of price declines, crude oil prices increased throughout January and into February as global oil supplies declined relatively quickly. The agreement among members of the Organization of Petroleum Exporting Countries and other non-OPEC producers to reduce production by 1.2 million b/d began in January. Saudi Arabia announced it was reducing production by more than it initially agreed, and unplanned supply outages have reduced production in Libya to about 800,000 b/d, down from 1.2 million b/d in November. The province of Alberta also instituted its own production restraints, which EIA estimates contributed to a decline in Canada’s supply of about 400,000 b/d from December to January. Although it did not cause any immediate loss to global oil availability, US imposed sanctions on Venezuela’s state-owned Petroleos de Venezuela SA (PDVSA) in late January, which may disrupt regular trade flows and increase the risk for an oil supply outage. The expectations for lower demand that contributed to falling prices in December may have ebbed slightly in January and provided some support to oil prices. The Bureau of Labor Statistics reported that US added 304,000 jobs in January, which was larger than expected. The Institute for Supply Management’s manufacturing Purchasing Managers’ Index increased to 56.6, signifying expansion in US manufacturing activity. STEO estimates that in February, total global petroleum inventories will fall by 1.3 million b/d—the largest drop since November 2017. The Brent crude oil futures curve developed a slight backwardation in January, due to increased short-term risks in global oil supply. Despite the forecast global oil inventory draws in February and lower forecast OPEC crude oil production in 2019 compared with the January STEO, EIA forecasts that US crude oil production growth will offset decreases in OPEC production throughout the forecast. EIA forecasts US crude oil production to average 12.4 million b/d in 2019 and 13.2 million b/d in 2020, which are both more than 300,000 b/d higher than in the January forecast. The forecast reflects an assumption of more productive wells both in the Permian basin and in the Gulf of Mexico. The updated well productivity resulted from adjustments made because of incoming data during the month. In addition, EIA’s assumptions of pipeline constraints in the Permian basin do not moderate production growth in that area as much as previously forecast. Meantime, even though recent economic data from the US was positive, EIA based on data from Oxford Economics, revised down its forecast for global oil weighted gross domestic product growth from the January STEO. This revision, along with revisions to historical demand estimates that carried through to the forecast, contributed to a slight downward revision in the global oil consumption forecast. Now EIA forecasts that global oil consumptions will average 101.45 million b/d in 2019 and 102.93 million b/d in 2020. This compares with 101.54 million b/d and 103.07 million b/d in last month’s STEO. 600,000 b/d, respectively. Those builds are larger than forecast last month.